With less than 100 days to go until Pride in Hull takes place on Saturday 20 July, organisers of the event have promised that this year’s annual celebration of the LGBT+ community is going to be bigger, brighter, bolder and prouder than ever before! 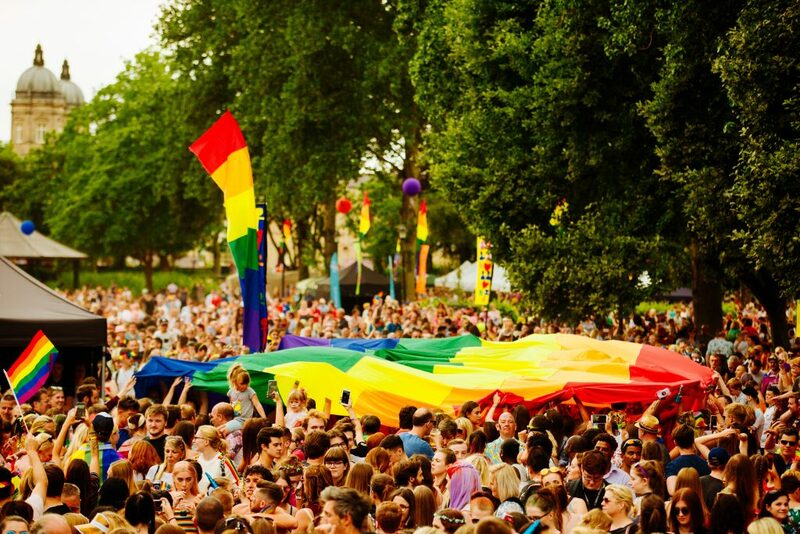 In 2018, the event attracted over 50,000 people to Queens Gardens over the course of a single day, contributing over £1.2m to the local economy, making Pride in Hull one of the biggest Pride events in the country. The Pride in Hull parade is now open for registrations and will be reflecting 50 years since the major catalyst of the LGBT+ protest movement – the Stonewall Riots. The parade will be split into five sections with participants encouraged to dress in outfits reflecting one of those decades. To remind people of the history of LGBT+ rights, the parade will be filled with placards highlighting key moments in LGBT+ history – including those still happening around the world today. Details of how members of the community can get involved in creating placards and other items for the parade will be released in the coming weeks. Pride on Screen is a film festival organised in partnership with Hull Independent Cinema and Fringe! Queer Film Fest. We’ll be showing new releases, classic cinema, sing-along shows and a night of short films. Film-makers who want to submit their own shorts for consideration can do so at prideinhull.co.uk. The Pride in Hull shop and workshop space will open at number 69 Humber Street on Saturday 6 July and will remain open until Sunday 21 July. The space will sell Pride in Hull merchandise along with being a community hub hosting workshops, talks and even an LGBT self-defence class. The space has kindly been provided by Fruit Market LLP. For £250 local businesses receive a window sticker for the shop, bar, restaurant or venue stating they are an official supporter, a link on the Pride in Hull website and shout-out on social media. They will also be listed in the annual Pride Guide, which saw 15,000 copies distributed in 2018. Pride in Hull takes place 20 July 2019 in Queens Gardens. Find out more at prideinhull.co.uk. Be the first to comment on "Less than 100 days to go until Pride in Hull"